Password, the secret word which we use to protect our accounts. There are lots of website online so it is hard to think each time a hard to guess and easy to remember password. 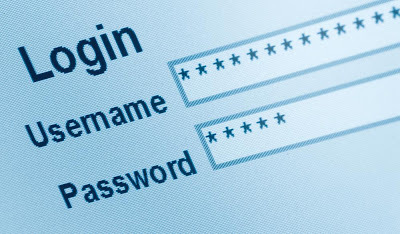 people either use the same password over and over again or create easy to remember passwords. According password management company SplashData, the top three passwords of the year are "password," "123456," and "12345678." The company's list of the "25 worst passwords of the year" was compiled using data that hackers have posted online, which are said to be stolen passwords. 1.) Use passwords of eight characters or more with mixed types of characters. One way to create longer, more secure passwords that are easy to remember is to use short words with spaces or other characters separating them. For example, "eat cake at 8!" or "car_park_city?" 2.) Avoid using the same username/password combination for multiple websites. Especially risky is using the same password for entertainment sites that you do for online email, social networking, and financial services. Use different passwords for each new website or service you sign up for. 3.) Having trouble remembering all those different passwords? Try using a password manager application that organizes and protects passwords and can automatically log you into websites. There are numerous applications available, but choose one with a strong track record of reliability and security like SplashID Safe, which has a 10 year history and over 1 million users. SplashID Safe has versions available for Windows and Mac as well as smartphones and tablet devices.